Call it glorified procrastination (then again, what isn’t?) or a genuine pursuit of inspiration, but there are few things I love more than watching documentaries about creators I admire. The release of Jodorowsky’s Dune (which my friend Marco incidentally nattered about on recently over at Schlock Magazine), coupled with the sad passing of HR Giger, made me think of this again, so I thought I’d compile a list of some of my favourites – all of which are thankfully available online. I know I’ll be returning to this list every now and then for an inspiration top-up. Feel free to suggest any others I may have missed. Incidentally, did some more nattering of my own, this time into the ears of the protean Maltese lifestyle web-hub, Malta Inside Out. This entry was tagged Alan Moore, Alien, H.R. 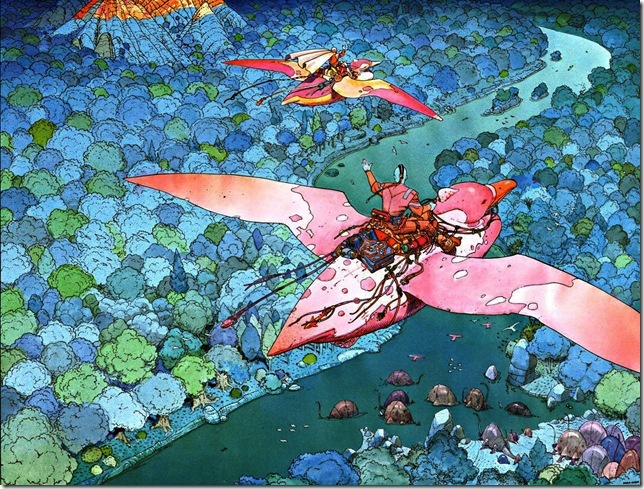 Giger, HP Lovecraft, Jean Giraud, Jodorowsky's Dune, Moebius, Pop Culture Destruction, Schlock. Bookmark the permalink.